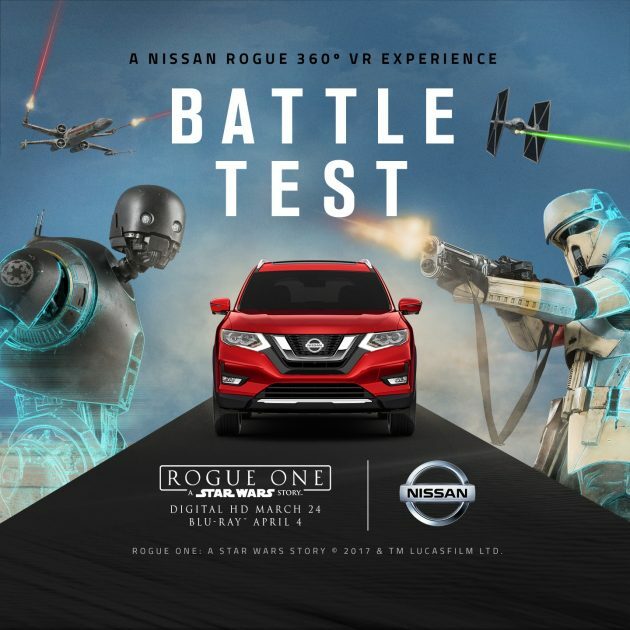 The virtual reality program transports users to the main battlefield from 2016’s Rogue One: A Star Wars Story with a Nissan Rogue to navigate the perils of the landscape and avoid attacks. Drivers are aided by the Nissan Rogue’s advanced safety technology. For Nissan, it let customers new and old learn more about its vehicles in a format light-years more engaging than a traditional brochure or website. Designers at Critical Mass made “Battle Test” a 360 experience because in real life challenges come at drivers from all angles. This made the game as realistic as a VR experience about an alien planet can be. Nissan continues to be satisfied with its partnership with Lucasfilm. In December of 2016 sales of the Nissan Rogue rose 53% from 2015, and the trend continued over the following months. We can’t wait to see what is up next for Nissan’s bestselling model.